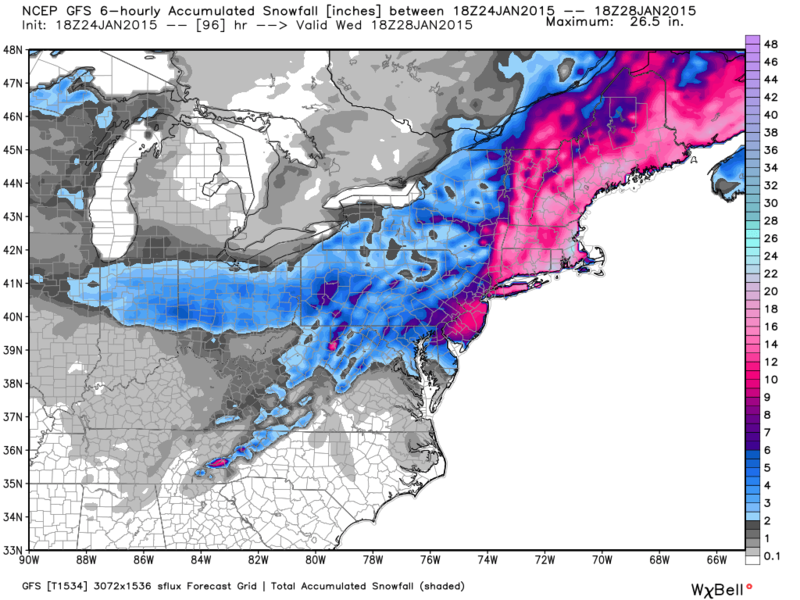 How quickly the forecast changes … out of nowhere we go from a clipper sliding to our south and off the coast to a full-blown Nor’easter rapidly deepening off of the Virginia coastline (Tuesday morning) and then crawling northeastward towards New England (Tuesday/Wednesday). 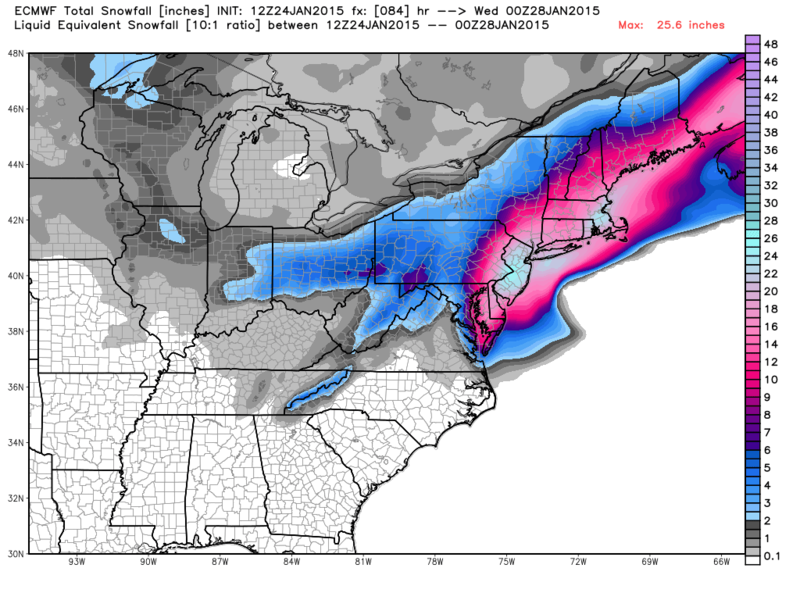 Check out the latest snowfall forecasts from the GFS, NAM and ECMWF. As it stands now the DC Area may receive 2 to 4″+ of snow with 4 to 6″+ across Northern Maryland and the foothills of West Virginia & Northwestern Virginia. If this Nor’easter deepens even more rapidly than currently forecasted and tracks a bit closer to the coast, the 95 corridor here in the Washington Region may find itself on the western periphery of a powerful Nor’easter with back-lash snows on Tuesday. I’m am definitely on the bullish side for this one. I have no idea why the models are so dry when you set such a long fetch of easterly flow from way out in the Atlantic all the way back to Ohio. Also the 850 upper low looks juciy with flow coming up from the south and southeast over DC. On thing that looks unfavorable is that some models seem to mess up the 500 mb trough for a time, but then it seems to get re-energized and eventually closes off. Whether that is early enough for us, hard to say. 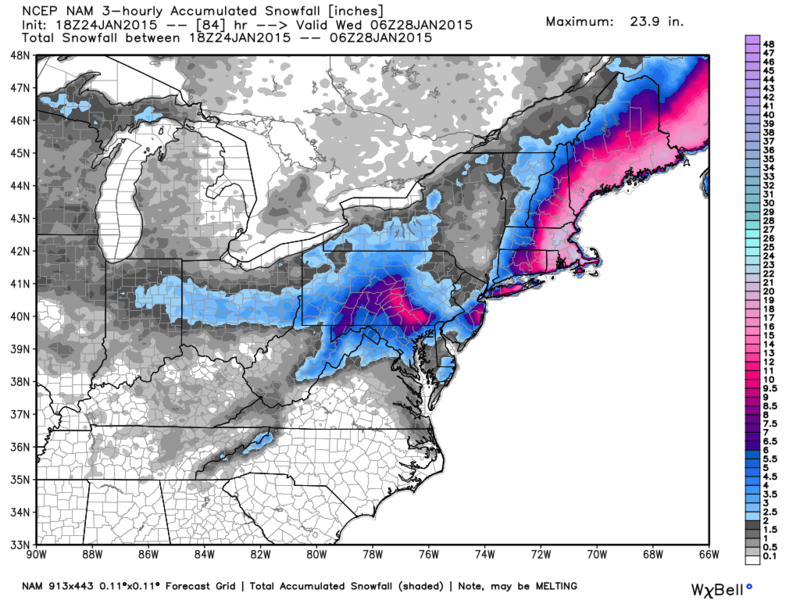 I would think that 4-8″ seems quite likely, if for no other reason than the long duration of precip. It does not have to snow very hard to get that much over an 18-24 hr event. Possibility for more if we get the wrap around snow onTuesday. Maybe the storm will make a left turn like Sandy? We can hope anyhow!